Similar to Two Dots, Dots & Co is a puzzle game that requires you to connect dots to create some shapes. It allows you to explore beautiful landscapes and interact with magical companions who can help you solve the puzzles. The game is compatible with android and iOS devices, but can also work with PCs. It comes with many levels, different visual mechanics and a color-blind mode. According to the developer- PlayDots, the game is played by at least a million people every day. 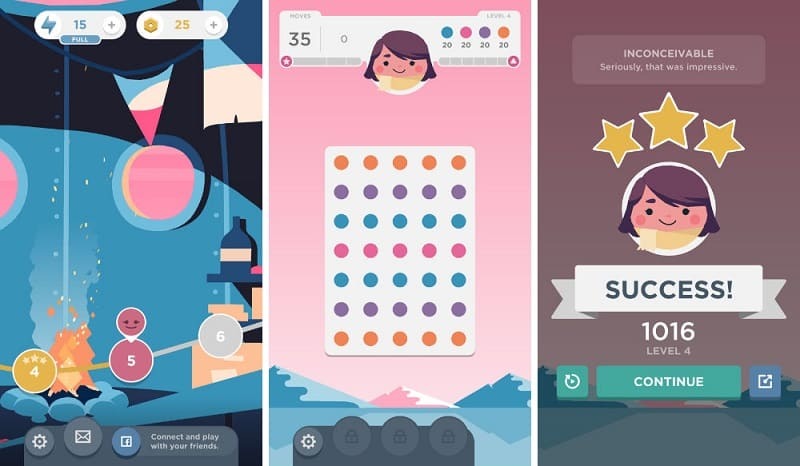 These levels are completely original, which means that they are not available in Two Dots. Each level will require you to create different shapes such as boxes, squares and rectangles while making normal matches. The number of shapes you’re supposed to make increases as you move higher on the levels. However, there is a limit number simply because small screens cannot accommodate a large number of them. Enjoy Simple and Thoughtful Gameplay. The best thing about playing Dots & Co is that you are not faced with time limits. The game allows you to take your time to think about your moves and the best ways to solve the puzzles. Requiring you to only connect dots, the game is quite simple and doesn’t boggle your mind. You can match dots in straight lines & around corners (but not in diagonal lines) to create shapes. To retain new dots, match them before you clear the old ones. You should also make use of swirly dots which make other dots to change color. Forming boxes is a great way to level up faster. The boxes are typically made of 4 dots, but you can use more than 4 dots depending on the size of your screen. The game requires you to plan ahead before connecting the dots. Monitor the color changes and check where the dots will fall when you make a move. This will help you make moves that create desirable shapes. Keep an eye on the colorless dots and match them wisely with other dots. These types of dots can be matched with any color that starts a chain. So they make things easier and help create natural shapes. Companion characters start to appear on level 7, and you can make use of them to complete levels faster. In order to use their special skills, match triangles that appear on the screen. Ensure you keep the companion meter full in order to keep tapping their powers. Boost your Game with Currency, Energy System and Power-ups. The game’s currency is called cog, and you can use it to gain extra moves and improve companions’ special abilities. The energy system will help you use fewer moves to complete levels. The power-ups come in different types and help you erase dots from boards. 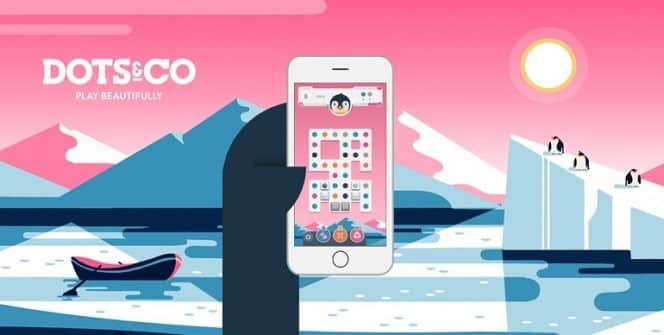 Dots & Co for PC. Playing the game on your laptop or desktop will allow you enjoy better display and control. The dots can be confusing on a small screen, but with a large screen, you will be able to monitor and analyze them accordingly. Sometimes when playing Dots & Co, bluestacks ask you fee to pay but gives you option to download some apps. Every time it asks you just select “Install apps” and continue using it free. I hope you enjoyed this guide, please rate and share. If you have problems running Dots & Co on desktop or any other issues, leave a comment below.